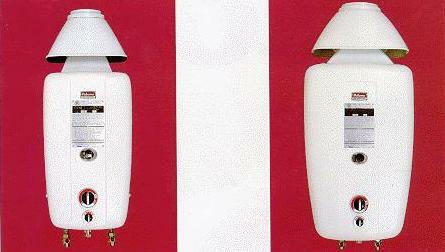 Ariston Point of use Electric Water Heaters Electric Tankless Water Heaters. PH24 -The largest tankless hot water heater of this type. Excellent for commercial, industrial, and residential water heating. Just one unit supplies a constant, on demand, flow of hot water for restaurants, hospitals, and manufacturing facilities. PH12 - A portable, gas/propane unit, that enables you to take it anywhere that you need hot water. This unit connects to a standard garden hose. It can be carried on a dolly or mounted on a wall. Great for agricultural, veterinary, and sports related use.